For those that missed our earlier TweetChat with @journolink we’ve recapped the top four questions on the topic of identifying what is newsworthy and promoting your company across various PR channels. Thanks to @TetKofi for some superb tips and advice. Q1 Where do I start when looking for what’s newsworthy about my business? When you look for angles always ask yourself the question “SO WHAT”. If the point you want to make gives a good answer to this question then you are newsworthy. Check the popular news agenda, ie what’s in the news around you. In different media, papers, blogs, TV, also check different sectors eg trade mags, consumer pubs, broadcast, online. Each has different news agenda. 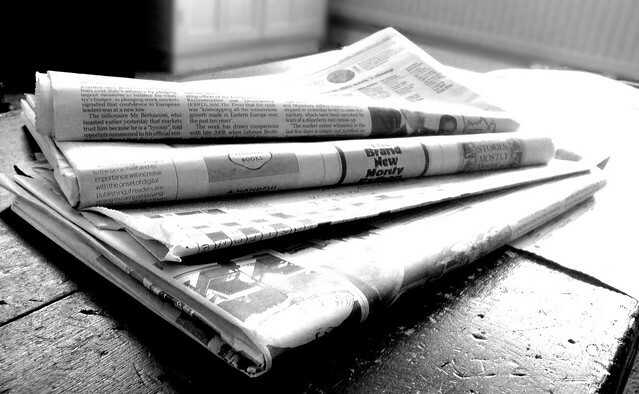 See what aspects of your business connect to each of those news agenda, select which is strongest most relevant then connect your news to something on the agenda. The agenda is news already. You piggy back from your angle! Q2 What sort of items and stories do Journalists look for? People think journos are one group, there are many different niches for Journos with different interests! There are Local, regional, national journos. There’s trade/consumer. There’s Bloggers. There’s nationals. Each group is looking for different things and quick scan of each type shows you what they want. Connect to each type according to their area of interest. First thing in news is to know what’s out there! Q3 I can’t afford to commission research, so how do I put out findings that are new? Great source of research is YOUR OWN EXPERIENCE! What have you found? What have you learned. It’s unique, REAL. So long as your experience is illustrative, it will teach/inform/inspire others. Don’t underestimate it. Social media is great way of sharing new findings. You just have to link your news to the info. Q4 There are lots of competitors in my niche, so what is special about my business? There are many companies but only one of you! With your brand, your specific products your service levels. Brainstorm with your team how you are special. Look at yourself from many angles. You need many minds to do it.